Ekiti State is a state in western Nigeria, declared a state on October 1, 1996 alongside five others by the military under the dictatorship of General Sani Abacha. The state, carved out of the territory of old Ondo State, covers the former twelve local government areas that made up the Ekiti Zone of old Ondo State. On creation, it took off with sixteen (16) Local Government Areas (LGAs), having had an additional four carved out of the old ones. Ekiti State is one of the thirty-six states (Federal Capital Territory (Nigeria)) that constitute Nigeria. Ekiti State is reputed to have produced the highest number of professors in Nigeria. Several pioneers academics are from the state. Pioneers like Profs Adegoke Olubummo( One of the 1st Nigerian Professors in the field of Mathematics), Adeyinka Adeyemi(1st Professor of Architecture in West Africa). Others include renowned academics like Profs J.F. Ade-Ajayi, Niyi Osundare, Sam Aluko and others too many to mention. Following a prolonged political crisis, President Olusegun Obasanjo imposed a military administrator (General Tunji Olurin) on Ekiti State in October 2006. On April 27, 2007 Olurin was replaced by Tope Ademiluyi. In the PDP primary of 2006, 1st place finisher, Yinka Akerele and 2nd place Prof. Adesegun Ojo were supposed to be in a run-off to determine who would be the nominee of the Nigerian ruling party when President Obasanjo summoned them to Abuja and imposed the candidate who came third - Engineer Segun Oni. He was later elected in the 2007 election as the governor of the state in an election marred by widespread irregularities and the AC candidate, Dr. Kayode Fayemi challenged his election and forced a rerun in May 2009. Ekiti was an independent state prior to the British conquest. It was one of the many Yoruba states in what is today Nigeria. Ekiti as a nation and districts of Yoruba race had her progeny in Oduduwa, the father and progenitor of Yoruba race. Just like every major subethnic division in Yorubaland. 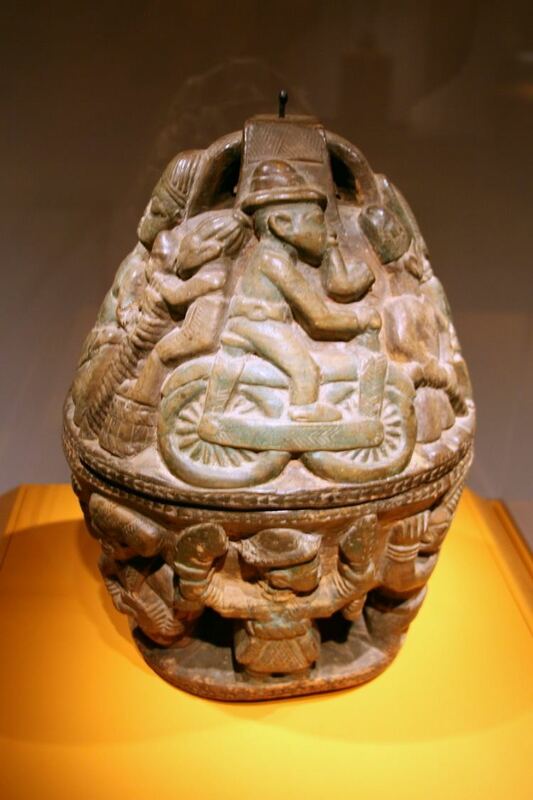 Ekiti has her origin from Ile-Ife (the cradle land of Yorubaland). 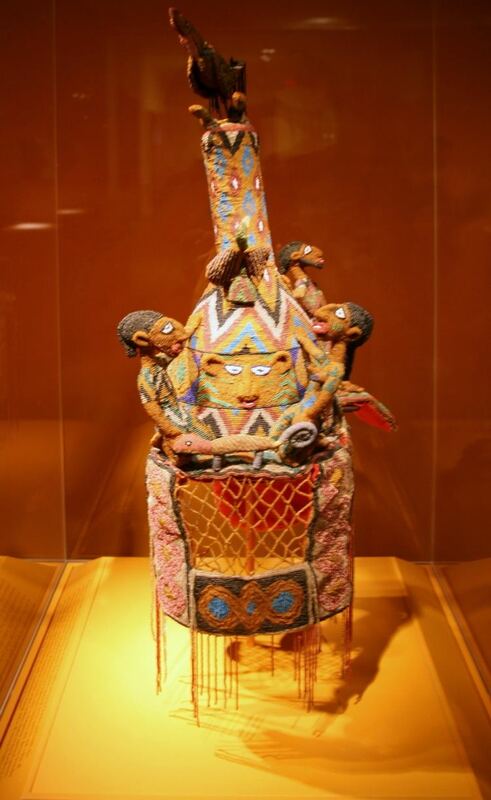 The Olofin, one of the sons of the Oduduwa had sixteen (16) children and in the means of searching for the new land to develop, they all journeyed out of Ile-Ife as they walked through the Iwo - Eleru(crave) near Akure and had stop over at a place called Igbo-Aka(forest of termites) closer to Ile-Oluji. The Olofin, the sixteen children and some other beloved people continued with their journey, but when they got to a particular lovely and flat land, the Owa-Obokun(the monachy of Ijesha land) and Orangun of Ila decided to stay in the present Ijesha and Igomina land of in Osun state. While the remaining fourteen (14) children continued with the journey and later settled in the present day Ekiti land. They discovered that there were many hills in the place and they said in their mothers language that this is Ile olokiti the land of hills. Therefore the Okiti later blended to EkitiI. So Ekiti derived her name through hills. The modern Ekiti state was formed from part of Ondo in 1996. The State is mainly an upland zone, rising over 250 meters above sea level. It lies on an area underlain by metamorphic rock. It is generally undulating country with a characteristic landscape that consists of old plains broken by step-sided out-crops that may occur singularly or in groups or ridges. Such rocks out-crops exist mainly at Aramoko, Efon-Alaaye, Ikere-Ekiti,Igbara-odo- ekiti and Okemesi-Ekiti. 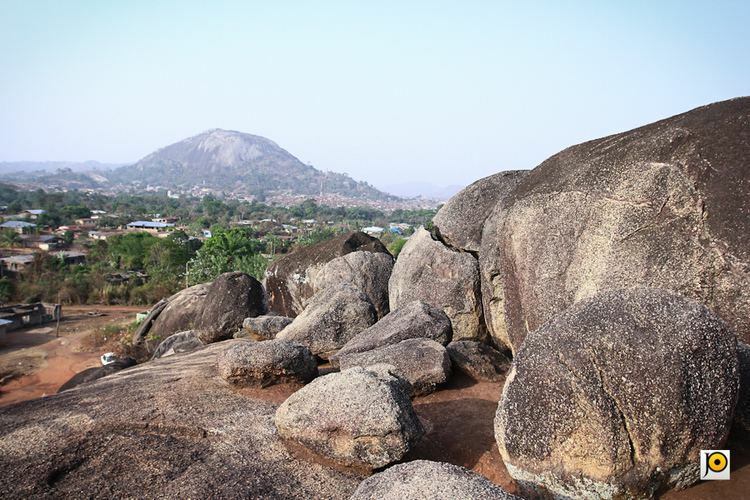 The State is dotted with rugged hills, notable ones being Ikere-Ekiti Hills in the south, Efon-Alaaye Hills on the western boundary and Ado-Ekiti Hills in the centre.